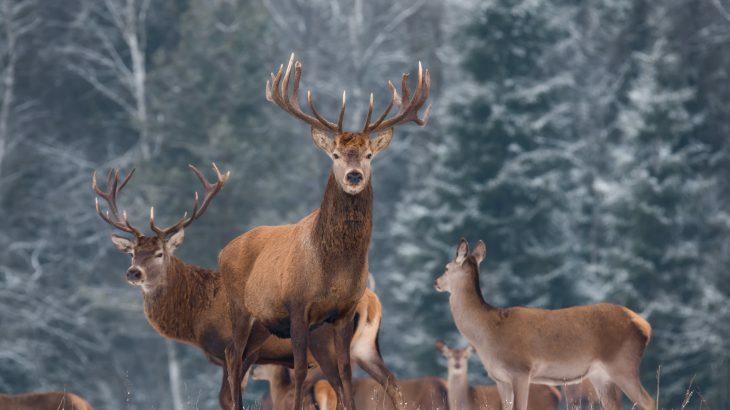 Chronic Wasting Disease (CWD) is an illness in deer, elk, and moose that attacks the brain and spinal cord, causes drastic weight loss, aggression, and eventually leads to death. It’s sometimes referred to as “zombie deer disease” because of the disease causes an infected animal to waste away. According to a recent update by the Centers for Disease Control (CDC), the disease has spread to 24 states in the US and two provinces in Canada. There have also been cases of CWD reported in Norway and Finland among reindeer and moose. First reported in Colorado in the 1960s among captive deer, CWD later spread to wild deer across the US. In some cases, it can take years for an infected animal to show signs, but once the disease is visible, the symptoms are severe. The CDC says that the prevalence of the disease is still relatively low even though it’s spreading and that infection rates are much higher among captive deer. As of yet, there’s no evidence that the disease can spread to humans, but the CDC reports that experiments have produced varied results with the disease infecting squirrel monkeys, mice and macaques.